As I mentioned before, we often go on long walks around neighborhood. 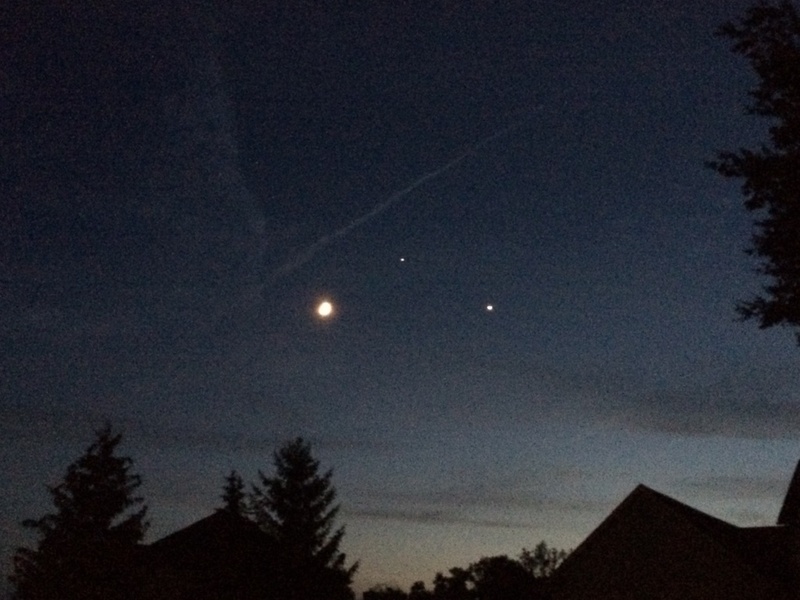 Sometimes we get to encounter something as remarkable as this: Moon, Jupiter and Venus forming a nice triangle. Sorry for the quality of the picture, this is as good as I could get with my phone at night. This picture is taken at 20 June 2015 at 9:56pm around New California Hills neighborhood.